I visited Cambridge for the first time last December, during the academic Christmas holidays, and was very disappointed to find out that both King’s College and its chapel were closed to visitors. King’s is one of the more famous of Cambridge University’s colleges, and it happens to be where my grandfather went to study for his degree in French and German. As he was the only other person in my family to have graduated with languages, I feel I’ve inherited that gene from him in particular. With my grandmother we always used to watch the Christmas Eve Carol Service that’s performed inside the chapel and broadcast on the BBC. 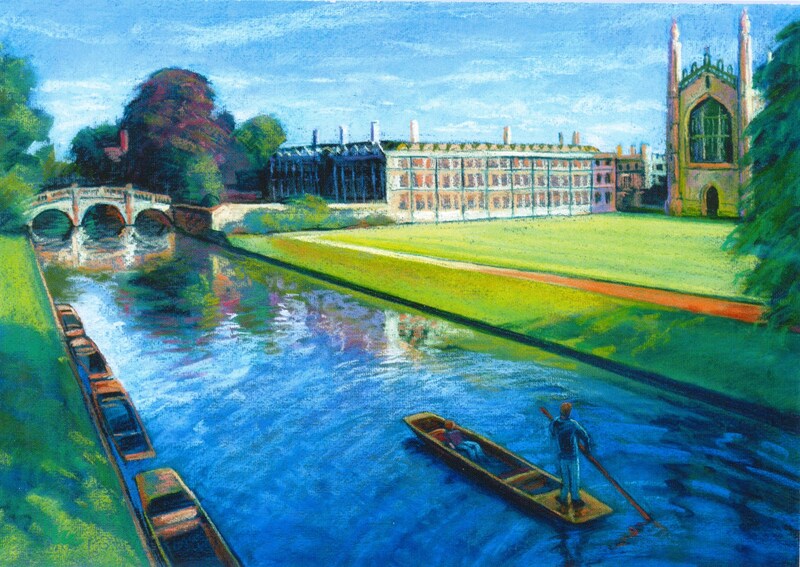 While I didn’t get to look around the college, I did see it from outside and also while punting along the River Cam, and it’s just as beautiful and august as I had imagined. My grandfather sadly died before I was born so I never had the chance to hear about Cambridge from him first-hand, but my grandmother said he absolutely adored his time there, and it’s lovely to think that very little has changed since he was there in 1949. I didn’t get to look round any of the colleges unfortunately, so will have to return to Cambridge another time to have a proper look around. Do make sure you check opening times and dates before you book your visit.